This thread is to catalog the reasons why we complain about Discover, since many seem to be dumbfounded when they read negative reviews. This is just a start for today. I know this page will fill up quickly when we find different threads. Feel free to add your own examples! I will update and reorganize this thread as new posts get added. To be fair, Disco can still fit your profile and strategy. They do offer an alternative network (i.e. diversity) and at least for the moment are giving away CLIs like candy (this was not the case for years...years...). I do not use the card much unless it is in the 5% quarter and it pertains to my spending. I think a lot depends on how the merchant was set up and what MCC code was used as to how the rewards are applied. Last summer in Greece I had no problems using the card, but it was not my go to card. It is ok for what it does in the US for me but I also frequent the same places that I know have been set up with the correct MCC. fans are more irritating that applelovers. I don't have a thread on this, but this quarter specifically is good for "warehouse clubs". However, not all "warehouse clubs" accept Discover at point of sale (i.e. Costco). I will also be adding links to individual posts in this thread when I update, so feel free to post new complaints and failures here as well. Does the fact that it's a safe assumption that there will be more count in and of itself? I've stopped using Shop Discovery because of how many times the shopping portal failed to pay the promised cash back. 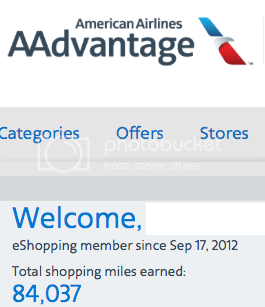 When I called in to get credit, they first tried to explain how a shopping portal works (okay, can't blame them for that as an opener)... but when I told them that I use Ebates and AAdvantage eShopping regularly and never have the same issue, I'd hear something like, "I know, it can be confusing. I'll issue you a credit as a courtesy." I'm not exactly new at this. My complaint is they said by the end of 2016 Discover would work with Samsung Pay just tried to add the card just got the same message the issuer does not support Samsung Pay. Every time i ask a Disco Bot about it oh its gone be available this year that's what u said last year no one knows anything. I'm not a big fan of how they called me after declining my online application the previous day and offered to process my application over the phone... and declined me a second time. It was the end of a "spree" and my file was greener and thiner than a PETA activist on a hunger strike, but it felt kind of like a kick while I was down. I don't now really see a need personally for a Discover card, and that makes me feel happy. They are the only card that pays me over $24 a year to be in my wallet possession with very little use. 5% capped on $1.5K is way better than 4% uncapped. 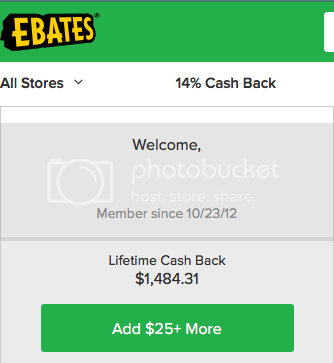 i am enjoying my first year with discover and the 2%-10% cash back with the double bonus. not to mention the 0% APR (yes I know APR does not matter. Not too many cards are offering 2%-10% back. After this year is up I will have to switch strategies but for now all is well. If i come upon any issues I will make sure to update here. But for now no problems. I hate Disco for many reasons. Declined charges, messed up rewards, failure out of the country. But mostly I like to complain about them to watch Kat meltdown. I don't complain about Discover. I don't have their card so have nothing to complain about. This is a solid reason right here and surely should be placed on the list. Agreed. I just wish I didn't have to jump through hoops to use the 5% in the store (not that going somewhere else and purchasing gift cards is a difficult, or abnormal extra step). Although, that being said, between what I was able to work through AP plus the regular spend I did get a double bonus check for >$1800, thus I don't share the vitriol as others do. I see it as a tool in the toolbox, but a specialized one at that.